Begum Kulsoom Nawaz, the wife of Sharif, died on Tuesday in London after a long battle with cancer. She was 68. Nawaz Sharif and his daughter Maryam Nawaz have been released on parole for Kulsoom's funeral. Pakistan Muslim League-Nawaz (PML-N) President Shehbaz Sharif on Wednesday left for London to bring back the body of his sister-in-law Begum Kulsoom Nawaz who died after a long battle with cancer, according to a media report. Shehbaz, the younger brother of Pakistan's jailed former prime minister Nawaz Sharif, left from the Allama Iqbal International Airport. 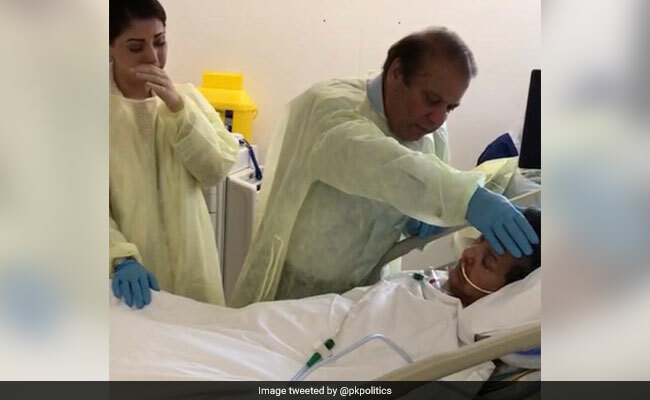 The funeral prayers of Nawaz Sharif's wife Kulsoom will be offered at the Regent Park mosque on Thursday afternoon and her body will be flown to Lahore after completion of legal formalities, Geo News reported. The Sharif family has said Kulsoom will be laid to rest on Friday in Jati Umra, residence of the Sharif family. The former first lady died Tuesday in London after a long battle with cancer. She was 68. She was diagnosed with lymphoma (throat) cancer in August last and had been in London since, where she underwent multiple surgeries and at least five chemotherapy sessions. She was placed on a ventilator in June following a cardiac arrest. The former prime minister, his daughter Maryam and son-in-law Capt (Retired) Muhammad Safdar reached here early Wednesday from Rawalpindi after they were released from Adiala Jail on a 12-hour parole to attend the funeral of Kulsoom. Former first daughter Maryam said Tuesday night she was "deeply saddened" by the fact that she was unable to be by the bedside of her ailing mother during her last moments. "Today was extremely difficult after learning of my mother's death. 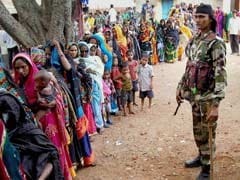 It was extremely painful to know that I wasn't by my mother's side," she said. "I am deeply saddened," she told Geo News.